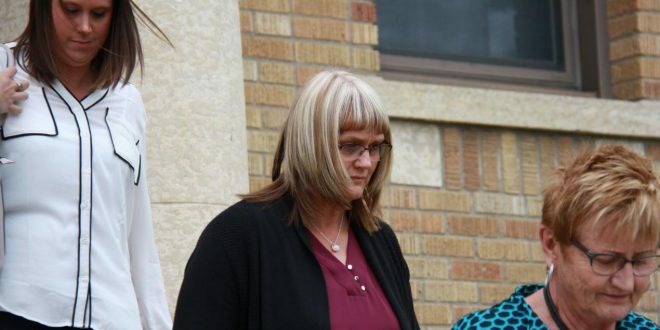 The conspiracy trial for Curtis Vey and Angela Nicholson continues in Prince Albert. Vey and Nicholson are accused of conspiring to murder their spouses in 2013. A jury at Prince Albert’s Court of Queen’s Bench was shown video from the RCMP interrogation of Angela Nicholson, who is charged along with Curtis Vey for allegedly plotting to murder their spouses. The pair was arrested on July 6, 2013 and released on bail a month later. Nicholson told officers she was concerned about a possible murder-suicide situation and that Taylor was stalking her. After intense questioning, Nicholson began to cry and sat hunched over as she told investigators the plan was Vey’s idea. She said his wife would be drugged with sleeping pills, then Nicholson would start a grease fire in the house. The trial is expected to continue until Friday this week.